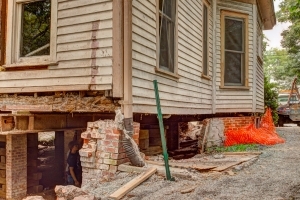 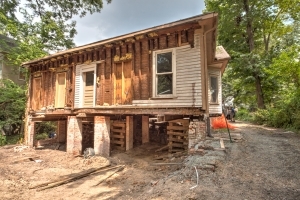 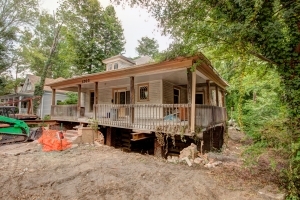 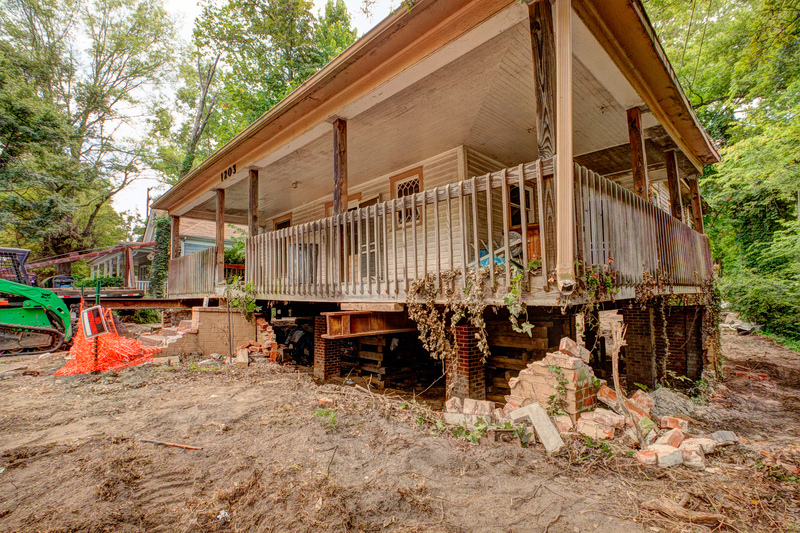 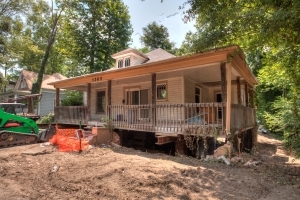 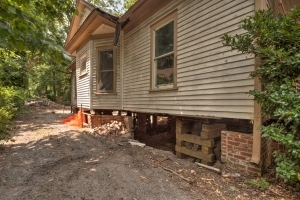 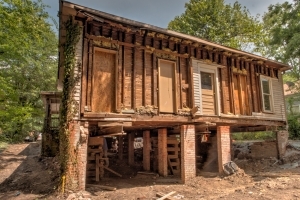 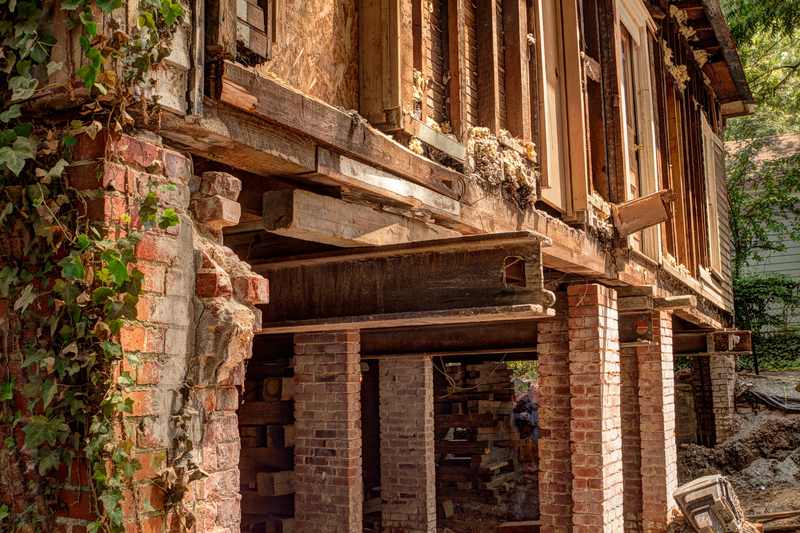 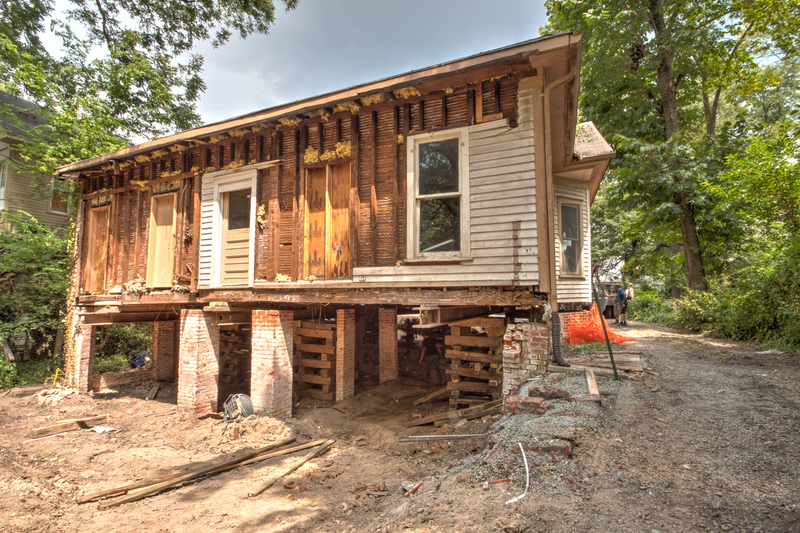 Many areas in Durham, NC have a combination of foundation issues. Some were built on soils that were soft and unstable, and some just weren’t engineered well enough to withstand the weight for decades. 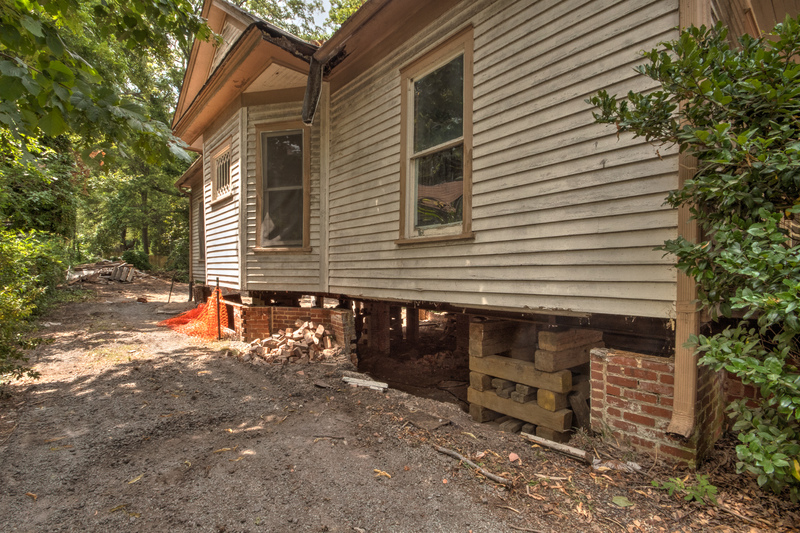 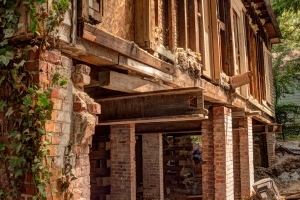 These and other factors can all lead to a failure of the old foundation, such as with our Mangum St project that we are currently rebuilding. 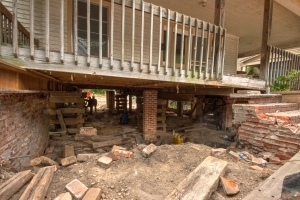 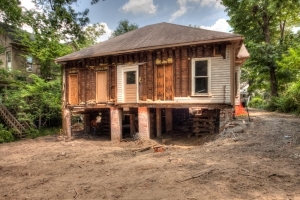 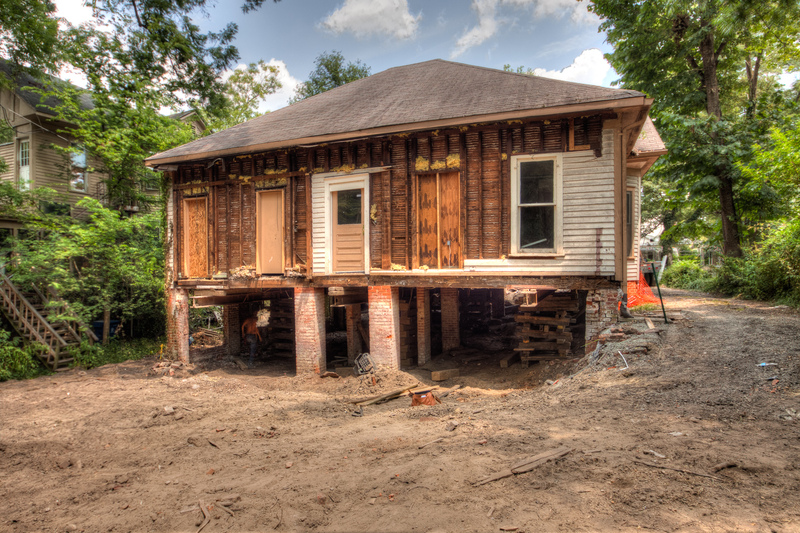 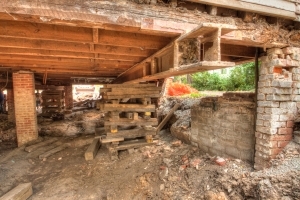 The foundation repair begins by getting the house weight off the current foundation. Our crew starts by building a temporary support system under the home. 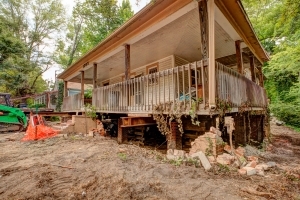 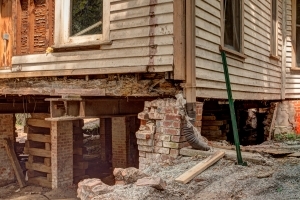 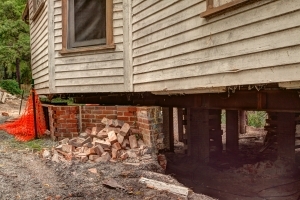 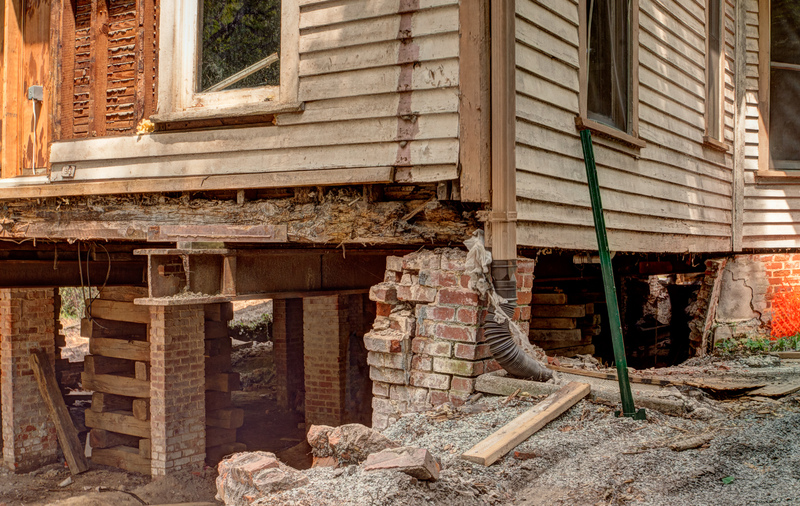 They then use a hydraulic jack to inch the house up little by little until it is well above the old foundation. 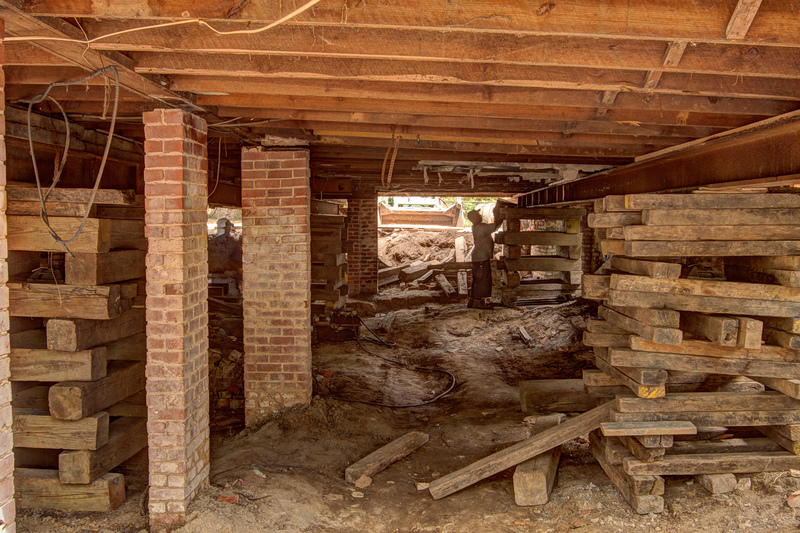 Take a look at the galleries below and see the house lift progress. 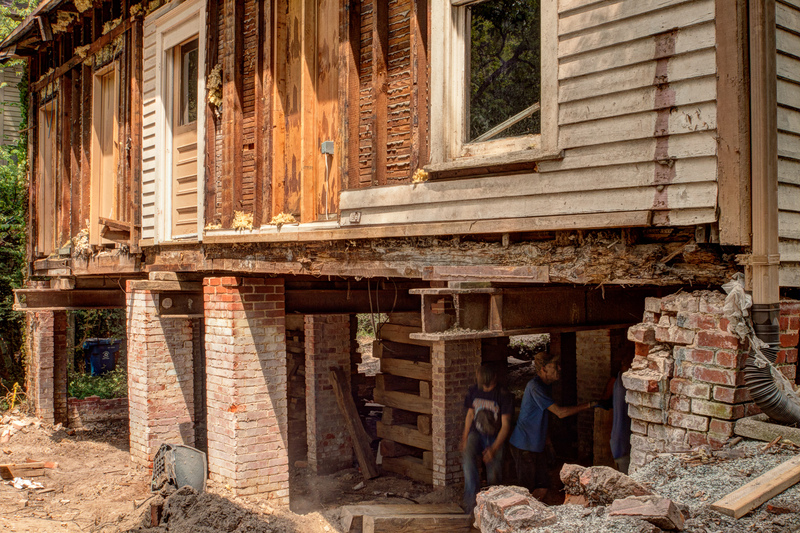 Each corner of the home is slowly raised and supported in a process that takes an entire day. 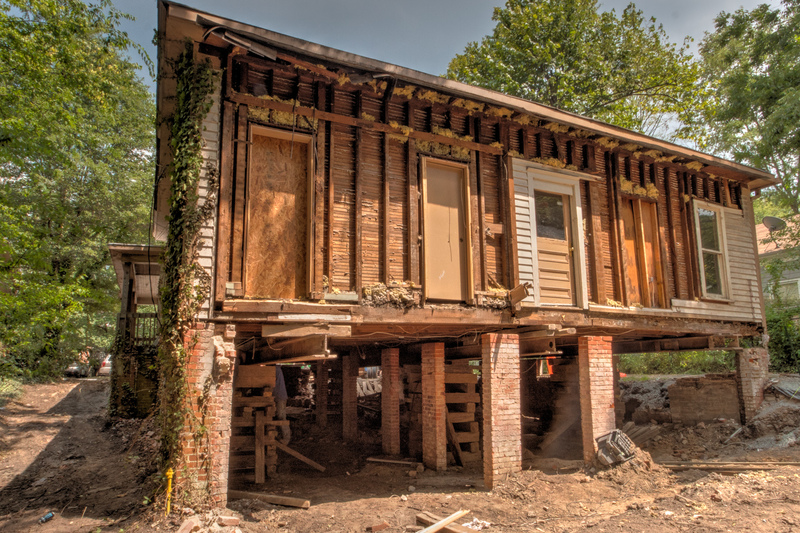 The end result is the house raised and supported by steel I-beams, floating about a foot above it’s old foundation. 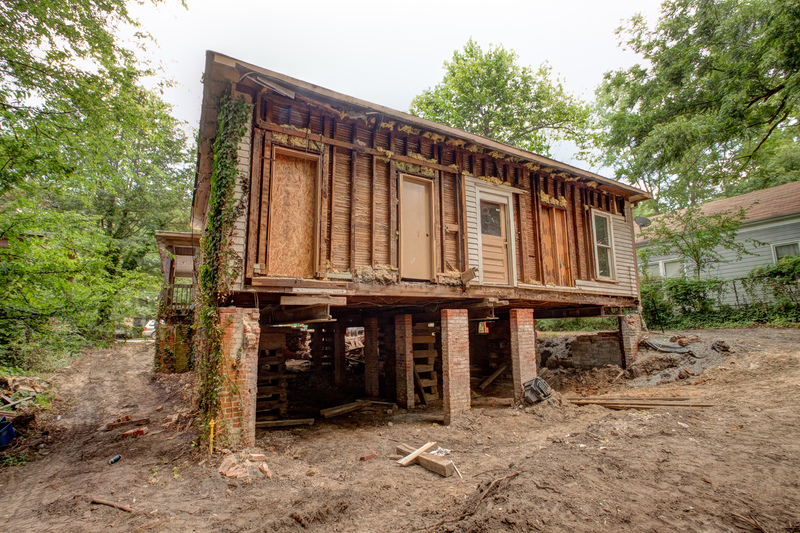 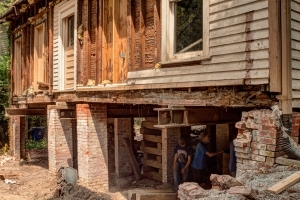 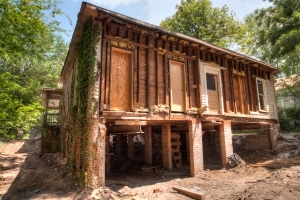 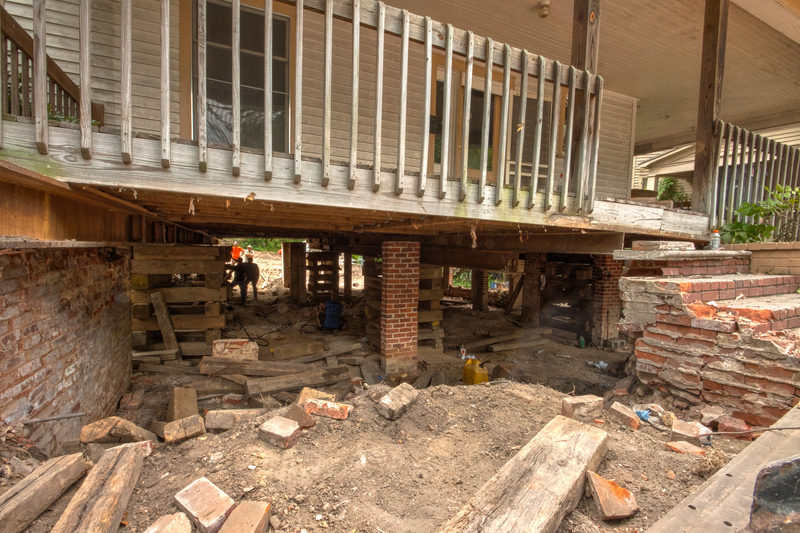 The next step for this whole house remodel will be for our foundation experts to rebuild an entirely new, modern foundation to set this house on.